Northern Michigan has lots of clear blue water and brilliant green woods. So why not build a deck for entretaining or just simply sitting and relaxing. 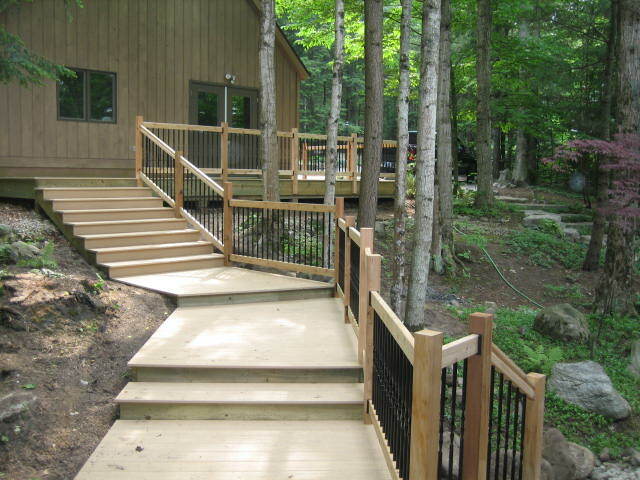 We work with composite, PVC, and wood decking materials, along with vinyl and metal railing components, to create a deck you can show of to all your family, friends and neighbors. 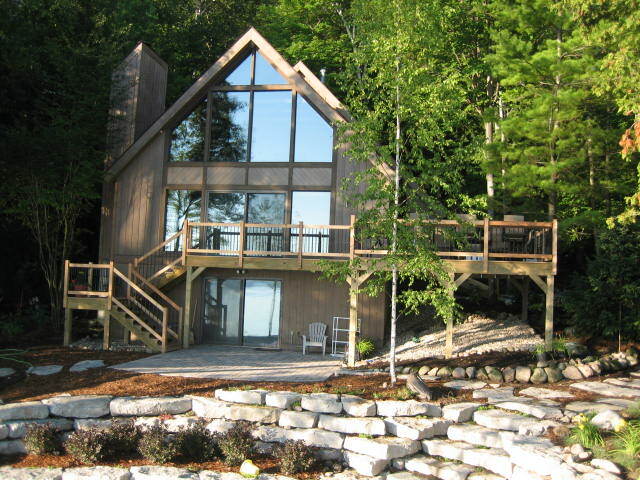 We operate in Antrim, Charlevoix, and Grand Traverse Counties; including Traverse City, Acme, Williamsburg, Elk Rapids, Torch Lake, Elk Lake, Kewadin, Eastport, Atwood, Charlevoix, and many other neighboring towns. 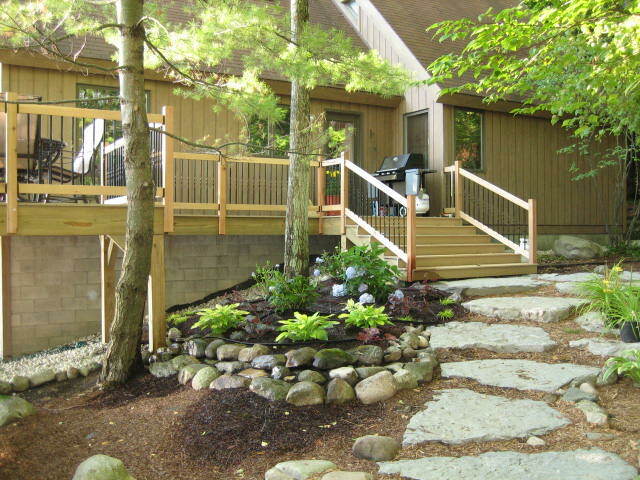 Below are photographs of a composit decking with a cedar and aluminum railing system which we helped to design before building. 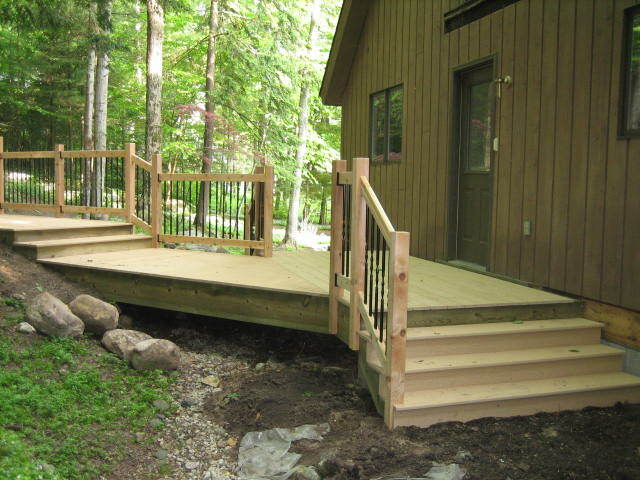 You may also view other decks in our Additions and General Carpentry page or check back as we periodically update and change photos. Send us an e-mail or give us a call to discuss your decking project.